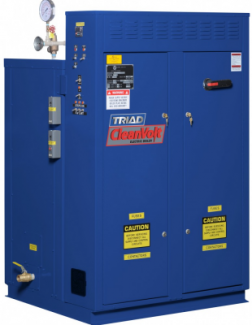 Overview: Triad space heating boilers are the ultimate ready-to-install packaged system featuring a perfectly matched powerful and efficient burner and boiler combination. 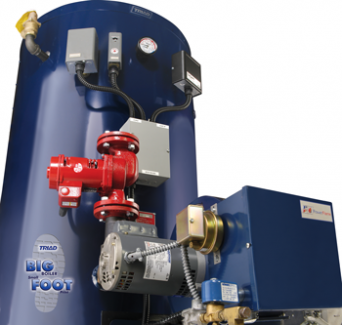 Overview: The Series 900 is a complete UL listed package that is a ready-to-install system featuring a perfectly matched powerful and efficient burner and boiler combination. Overview: The Series 1600 is a complete UL listed package that is a ready-to-install system featuring a perfectly matched powerful and efficient burner/boiler combination. 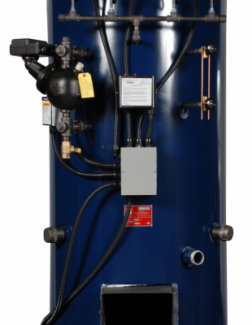 The Series 2000 is a complete package that is a ready-to-install system featuring a perfectly matched powerful and efficient burner/boiler combination. 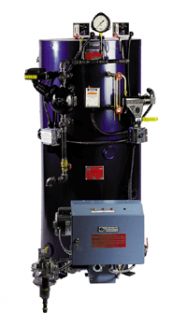 Hot Water Space Heating boilers from TRIAD are a rugged solution for a wide variety of hydronic heating applications. Like all our boilers, these are ready-to-install packaged systems featuring a perfectly matched powerful, efficient burner/boiler combination. All necessary hot water boiler controls and secondary plumbing are in place and pre-wired, with the vessels easily fitting through a 32” doorway, resulting in a very quick start-up. 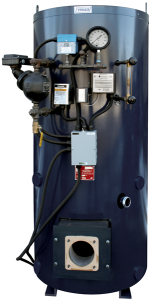 Overview: The Series 300 Steam Boiler is available with firing inputs from 300,000 Btu/hr to 375,000 Btu/hr. However, many millions of Btu’s can be delivered by creating an efficient, fully modular system of multiple vessels properly sequenced by a control panel. 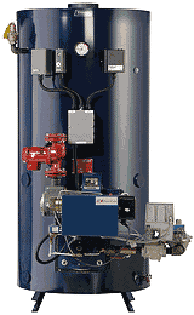 Overview: The Series 900 Steam Boiler is available with firing inputs from 600,000 Btu/hr to 900,000 Btu/hr. However, many millions of Btu’s can be delivered by creating an efficient, fully modular system of multiple vessels properly sequenced by a control panel. 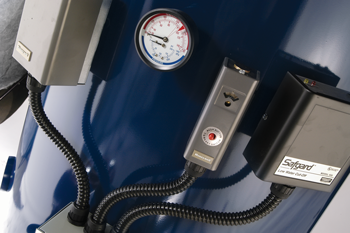 Overview: The Series 1600 Steam Boiler is available with firing inputs from 1100MBTU to 1600MBTU. However, millions of BTU’s can be delivered by creating an efficient, fully modular system sequenced by a control panel. Overview: The Series 1600 Steam Boiler is available with firing inputs from 1100MBTU to 1700MBTU. Overview: The High Pressure Series 2000 Steam Boiler is available with firing inputs from 1600MBTU to 2000MBTU. However, millions of BTU’s can be delivered by creating an efficient, fully modular system sequenced by a control panel. Overview: The Series 2000 Steam Boiler is available with firing inputs from 1600MBTU to 2000MBTU. The CleanVolt is a horizontal design, complete UL listed package that is a ready-to-install system. 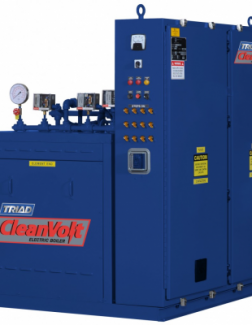 The CleanVolt is a Horizontal Design, complete UL listed package that is a ready-to-install system. All necessary hot water boiler controls are in place and pre wired, and most of the sizes easily fit through a three foot wide doorway, resulting in a very quick start-up. Combination boilers from Triad Boiler Systems provide tremendous flexibility and the ability to provide a “Total Solutions“ approach. 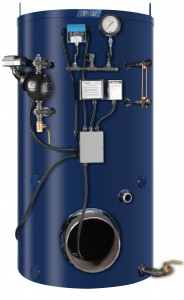 These boilers / indirect water heaters are designed to produce space heat and domestic hot water or other low temperature requirement, from the same vessel! 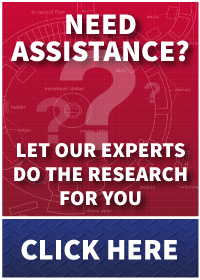 It avoids the need for a separate, distinct, hot water heater.